Removing all bones and skin, flake cod with a fork in a medium bowl. Add scallions, mayonnaise, grated Balderson Cheddar, garlic, salt and pepper, red bell pepper and lemon juice. Gently mix until well combined and form into patties. Dip in beaten egg followed by breadcrumbs and press gently to secure the crumbs. Heat oil in a frying pan and saute on medium high heat for 2-3 minutes or until golden on both sides. Melt Lactantia butter in a medium saucepan on medium heat. Add flour, whisking until smooth for 1 minute. Add Worchestershire sauce, salt, pepper, and mustard, continuing to whisk for 30 seconds. Slowly add Beatrice Milk and continue to whisk. Add grated cheddar, and stir with a wooden spoon until smooth. 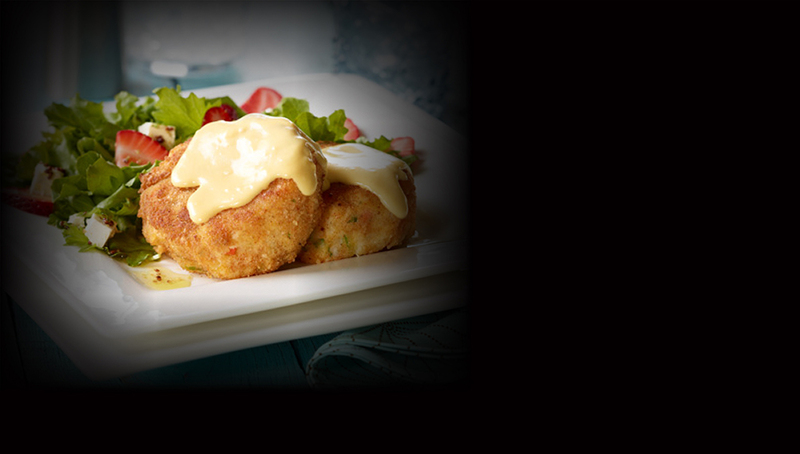 Serve over cod cakes and enjoy.